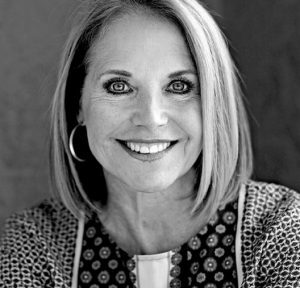 Please join award-winning journalist and bestselling author Katie Couric and prize-winning investigative reporter Megan Twohey of the New York Times for a substantive conversation about the pressing issues of our time. In Couric’s upcoming series “America Inside Out” (premiering on Nat Geo on April 11), she travels to dozens of cities across North America — from Fremont, Nebraska, to Montgomery, Alabama — to get an inside look at pressing social issues, including gender inequality, Muslims in America, political correctness, white working-class anxiety, and how technology is affecting our humanity. Don’t miss this exciting opportunity to spend your Saturday morning with two women on the front line of American journalism.